What is Digital Manufacturing & Design (DM&D)? 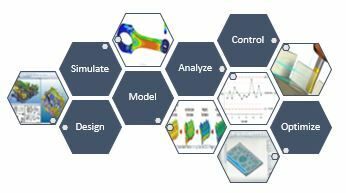 Digital manufacturing & design (DM&D) is the Digital Manufacturing & Design is an integrated approach that brings together software, data, and control systems to model, simulate, analyze, control, and optimize both a product and its manufacturing systems performance. This can range from implementing simple IoT solutions to gather data off shop equipment all the way to leveraging powerful product lifecycle management software to tie together every aspect of product development. DM&D breaks down traditional departmental data silos and enables an informed decision making process based on real-time data from across your supply chain. It provides the right information to the right people at the right time. The assessment provides visibility to opportunities such as reduced errors and improved efficiencies can be realized by automating manual business processes. Manufacturing time and cost can be reduced through simulation of products and manufacturing processes before any physical products are built, reducing or eliminating the time and cost intensive physical validation process. Maintenance costs can be reduced through a proactive maintenance strategy enabled by real time equipment monitoring. Catalyst Connection is leveraging engagement with the National MEP Network and Manufacturing USA institutes to provide this opportunity for a limited number of no-cost DM&D Assessments. By supporting manufacturer efforts to identify and close gaps in digital workflow, Catalyst is providing another tool for clients to grow and improve their businesses.